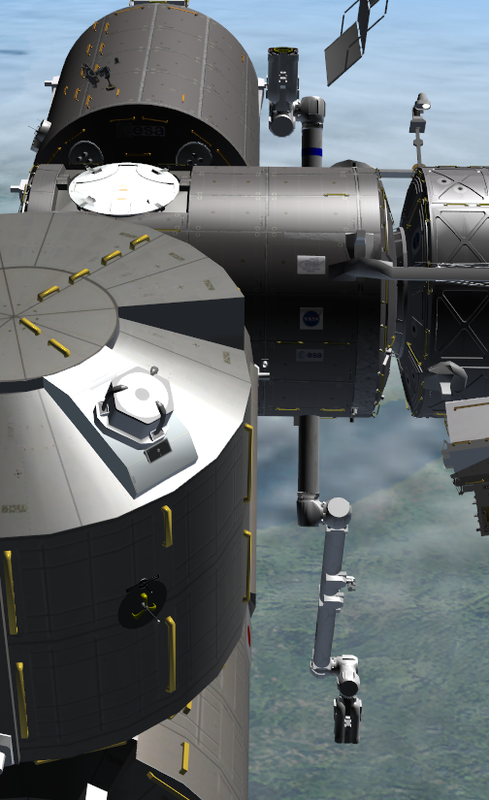 I have downloaded latest SSU, ISS A to Z and Canadarm2 addon. SSRMS scenarios are included in SSU. 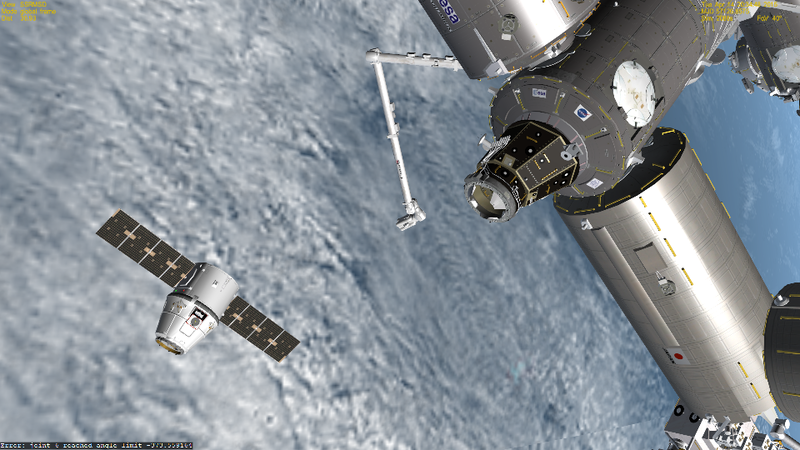 However, SSRMS is not attached to anywhere in these scenarios. In the end, I managed to fix this. I have changed ATTACHED 0:0,Harmony to ATTACHED 1:0,Harmony and it works fine now. Is there a problem in my SSU installation? The scenarios could be a bit old and outdated. Can you post the names (including folders) of the scenarios that have this bug? Well, the some of the SSRMSD scenarios haven't updated since October 2014: https://sourceforge.net/p/shuttleult...enarios/SSRMS/ and some are from 2012. Can you post the names (including folders) of the scenarios that have this bug? These scn files under SSRMS folder. I see you're getting ready to recieve Dragon. This is the Hover position for dragon watching. No reason to not file a ticket to fix the scenarios, especially if the fix is already known. Didn't we also have a STS-100-mission scenario folder about its delivery to the ISS? If not, we should include it into the possible features for the following version. AFAIK, we never had a STS-100 scenario. Besides, SSRMSD is really separate from SSU. No part of SSU, but deployed with SSU? Heresy! AFAIK, it can be launched by any compatible launcher given that this is just the SSRMS itself. The Spacelab Logistics Pallet (SLP) is separate from the SSRMS. So as long as a proper SLP is supplied it can be launched by the Shuttle Fleet. It's the same with the Crawler, it doesn't care about the MLP as long it supplies a compatible attachment point. Yes, but thats not really the question. 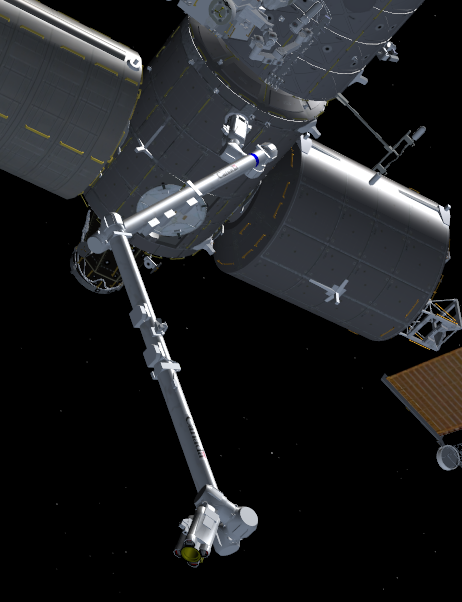 We could deploy the Crawler independent of SSU, just like we could deploy SSRMS independent. But we are still responsible for the add-on and at least need some sort of process for maintaining and deploying it (software-wise). We could kick it further out of SSU (not releasing it together with SSU) or we could move it closer into SSU. I am more for the latter, because such kind of projects are where our development time went into and we should showcase it. No problem. But if its part of the SSU development, we should also include it into the default distribution. Maybe we can also make a "no extras" distribution of SSU in the future. The only two "extras" that SSU makes us of is OrbiterSound 4.0 and Usonian's Vandenberg AFB 2006. We already have Usonian's permission to fully include it with our release pack. OS 4.0 is fully optional, not having it won't make Orbiter CTD upon loading the SSU scenarios.